Life is about to get pretty busy, as we prepare to welcome our second baby into our family. I've written about how this change makes me incredibly scared (read that post here), but there is a lot of excitement bubbling too. What will she look like? How will Isabella react to seeing her little sister for the first time? I'm excited for some aspects of the newborn days and less excited about others, which is to be expected I'm sure. Whatever is going on in my head doesn't stop that fact that in a matter of weeks we will be a family of four and preparation is key! 1) Batch cooking. In honour of becoming a family of four we treated ourselves to a tall freezer and, to be honest, we couldn't be more excited. The wild life of parents, hey?! We only had three drawers in our inbuilt freezer, which meant that we couldn't really batch cook for anyone other than Isabella. It also meant we often had to not buy reduced food because we couldn't freeze it. Something I really wanted to do while on maternity leave was to cook us lots of meals to freeze, so that we can still eat homemade, healthy meals once baby arrives. I remember trying to make a lasagne from scratch when Isabella was a baby and I kid you not, it took me 7 hours. SEVEN hours! 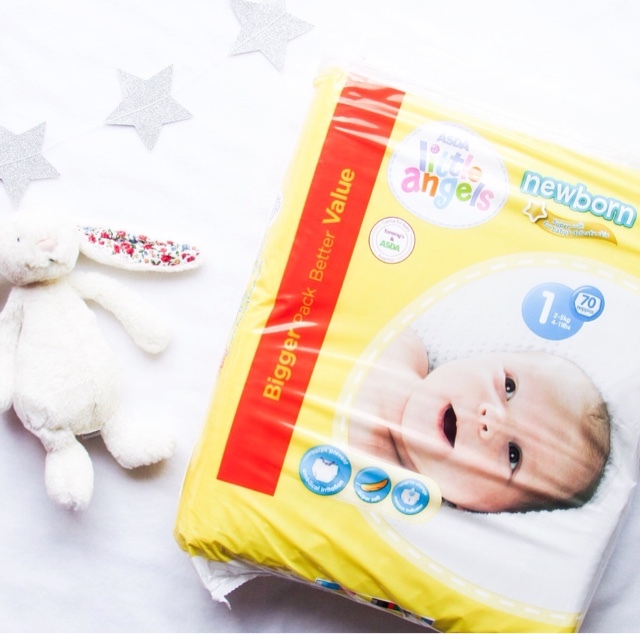 The stopping for nappy changes, feeding, comforting etc. meant nothing was done at any speed and I remember finding it very frustrating. What used to be a simple task had become some kind of mission impossible. So far I've cooked meat/vegetarian lasagnes, butternut squash risotto, chicken/vegetable curry, bolognaise and still got plenty of other meals to cook too. 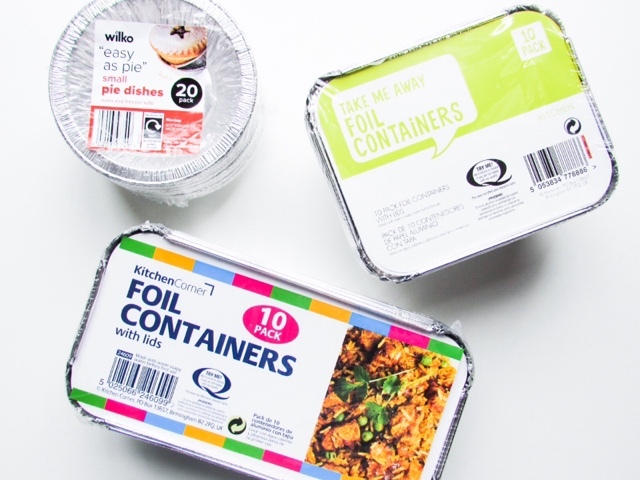 To make life easier I bought a whole load of silver foil containers from Poundland and Wilkinsons because otherwise we would have been left with no ovenproof dishes to use in the meantime. 2) Packing my hospital bag. 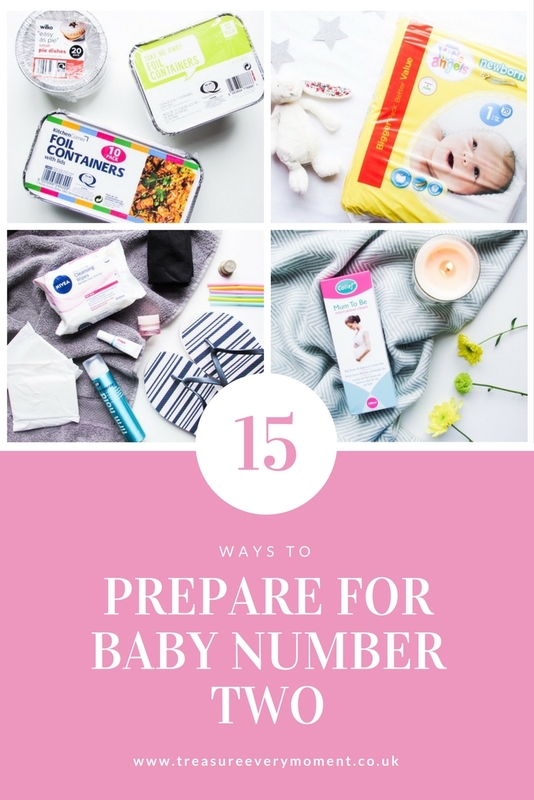 Pretty self explanatory and if you want to see what I'm packing this time then either head over to my Instagram or have a peek at the post I wrote when preparing for Isabella's birth (here's what I packed for baby last time too). It's pretty much the same as last time, but I'm also including some snacks/entertainment for Isabella when she visits. It's just one less thing for my husband to think about and a couple of activity books take up almost no room in my hospital bag. 4) Taking some 'me time'. Isabella has still been going to nursery, which has left me with some precious time to get jobs done but also take some 'me time'. Just simple things like getting my hair cut, get my nails done, seeing friends, having breakfast in bed, applying Colief Mum to Be Cream* in peace, read The Unmumsy Mum book, have slightly longer baths than usual while using all the LUSH products I can get my hands on etc. 5) Getting Isabella's new room decorated. Our spare room has been transformed into Isabella's 'big girl' bedroom, which has been an exciting journey. It needs a new ceiling, wallpapering, carpet etc., so it hasn't been the quickest job. This has meant that Isabella has moved into her new room and big bed a lot nearer to my due date than we would have liked. It's not the end of the world and hopefully it won't cause any issues once baby arrives. 6) Prepare the nursery. As part of Isabella moving into her new bedroom it has meant I've been able to prepare the nursery for a little baby again. I've moved all of Isabella's clothes out of the nursery and filled the wardrobe back up with 'up to 1 month' and 0-3 month baby clothes. However, as Isabella is still in nappies we'll be changing her in the nursery (rather than get a changing unit for her new bedroom), which means there's a section for her nappies and one for the baby's. I've also changed some of the prints on the walls, reorganised the books and raised the cot again. 7) Reduce Isabella's hours at nursery. While I'm on maternity leave we were eager for Isabella to continue going to nursery. She really enjoys it and it offers her social experiences I simply can't at home. However, we decided to reduce her days from three to two in order to save a bit of money. We're hoping that we'll be able to bump it back up to three days prior to my return to work at the end of maternity leave, but if not then we'll be able to manage for a short while with friends and family helping out. 8) Preparing blog content. If you're a parent then you'll know how all consuming and exhausting those first few weeks/months are, so in an attempt to get ahead of myself I've been trying to write, photograph and plan blog content. I can't promise I'll still be publishing three times a week, but I'll try hard to and I'll certainly be active over on my social media channels (all links over in the right-hand side bar). You'll probably find me tweeting/ instagramming/ pinning/ posting at all hours of the day and night, so please feel free to come over and keep me company. 9) Reorganising the living room. We need to be able to fit in the moses basket, bouncer and all the paraphernalia that comes with having a baby. Luckily because Isabella's got a new bedroom it means we can transfer some of her toys up there, move a coffee table out and make room for baby related items. Having enough surfaces available was important when we moved it around because I remember those long hours spent feeding and having somewhere to put a drink/snack is vital in my eyes. 10) Writing Isabella's routine down. We don't live particularly near any family, so I've written down Isabella's daily routine for anyone who does end up coming to look after her while I'm in labour/hospital. The unpredictability of labour means that I may not be in a state to handover by the time someone gets to me, therefore having her routine written down it is one less thing to worry about. 11) Collecting change, specifically old £1 coins for the hospital car park. Boring, yet important. Hospital car parks are seriously expensive and the hospital I'm hoping to give birth in has two different car parks - one for the woman's section (where the maternity ward is) and one for the main hospital. The main hospital has a machine you can pay with card at the end of your visit, but the other car park is pay and display so as soon as we arrive we'll probably have to pay for quite a few hours on the car before we go in. 12) Stocking up on essentials for pre and post birth - nappies, wipes, maternity pads, pain relief etc. I was in so much pain after giving birth to Isabella (thanks to an assisted delivery), so wandering around the shops wasn't my idea of fun. This time I've been gradually stocking up on essentials to get us through those early weeks. 13) Organising family/friends on stand-by for when labour begins. This one partially matches up with number 10 because we don't live near family lots of friends have kindly volunteered to be on 'stand-by' in case I go into labour and it progresses quickly. Both my husband and my Dad are just over an hour away when at work, so fingers crossed it starts at the weekend! But obviously it is so important to organise childcare for Isabella and we are hoping that her routine will be able to stay as normal as possible, with family coming to stay at our house and if necessary her still going to nursery. 14) Buying a new car that has ISO-fix. Now this one will not apply to many people, but it did to us. I had a very old car that was becoming less and less reliable, not to mention the fact that it didn't have ISO-fix. So with having a second baby and needing more boot space we decided now was the time to sell my car and get a slightly bigger one. Another factor in this decision was that we have to park on a relatively busy road and the only safe way we could think of to get two children into the car was to have the baby's car seat on an ISO-fix base. We didn't have one with Isabella because I didn't mind using the seat belt, but the idea of quickly being able to slip the baby into the base makes life a lot easier. Now I just wish we had bought it when Isabella was little and I could have saved so much time...hindsight ey?! 15) Downloading all of the photos off technology onto a hard drive. My phone and tablet barely have any memory left and we all know how many photos will be taken once this little one arrives. So I need to download all of my photos, so that I can delete them from the various devices and have lots of space for new photos. On a similar note I've also got a new SD card for my camera, as the one I'm using at the moment is almost full and I don't want to miss precious moments waiting for one to be delivered once she's here. 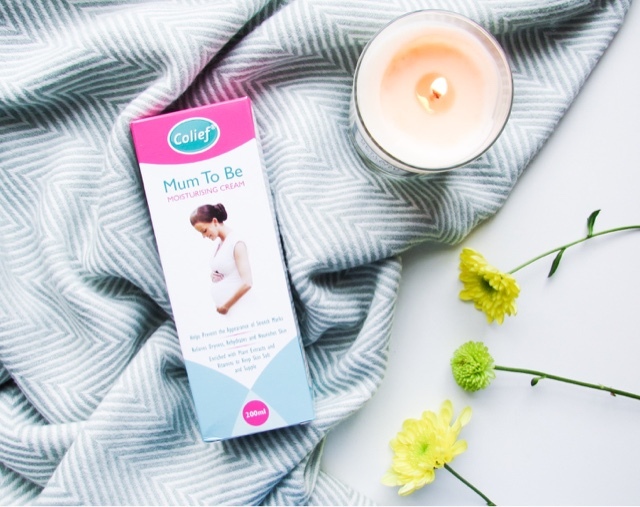 How did/are you preparing for your baby? What a fantastic post! SO much great advice. Batch Cooking I would say is an absolute time saver! These are fab tips and I agree that batch cooking has to be up there as a priority because lord knows there will not be a lot of time for cooking when baby arrives! Awww these are some really awesome tips, I don't yet have kids so I wouldn't know where to even begin. I get excited over kitchen appliances too! A big freezer proved essential when we increased our family size, saves money and time! Awesome tips. I will be honest and say I didn't much prepare for my new baby, as I have two other kids at home so luckily I had most of what I needed already and a lot of what I didn't have, my family and friends kindly bought me. My preparation was packing my hospital bag and putting the cot back up lol. Batch Cooking is the way to go. And some me time too. Fab tips. You sound really well prepared! And I'm sure Isabella will love having a little brother or sister. Good luck with everything! Batch cooking and stocking the freezer are essential for getting ready for subsequent babies! It is difficult to balance getting everything in at the right time rather than doing it too early and clogging up the house or risking leaving it too late!